Pusha T released a diss track, titled ‘The Story of Adidon’, which called out Drake for supposedly hiding his son from the world, and for disrespecting the mother of his child, Sophie Brussaux. On top of that, the artwork for the diss track was of Drake all smiles, whilst wearing blackface. Drake didn’t really stand a chance when this track came out, as it tore him apart from start to finish. Additionally, it was rumored that Kanye West had input on the track, as there was a line that could be related to Ye, and Drake was not very happy with West when he found out. Kanye was very hurt by this, as he claims that he didn’t have any input into this track at all, and that he is very sorry for causing any upset. Kanye went on to mention that he had never spoken to Pusha T about Drake’s child and admitted that he is in the wrong for not speaking to Pusha about the track, and the lyrics that related to Kanye, which has caused ‘negative energy’ for Drake. 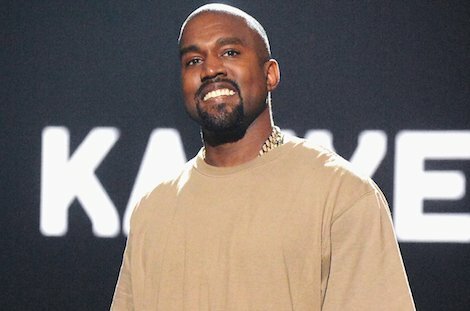 Personally, it seems like Kanye is genuinely sorry, and wants to give his absolute support to Drake. West later put out a tweet saying that he will be attending Drake’s show, to give his love and be inspired by the rapper. Sending good energy and love to Drake and family and crew??? Although, there’s a lot of speculation around this apology, as some people are saying that West is only sorry because Drake has recently dissed Kanye’s Yeezees in his latest track and Kanye fears be a dip in his clothing sales. Also, others are asking how Pusha T knew about Drake’s child if nobody told him about it. There’s a lot to answer for, Ye, but we do think Kanye has tried his best to give a sincere apology. Let’s hope the two can work things out and become the best of friends like they were before. Do you think Kanye is genuinely sorry? Do you reckon he may be lying to protect his brand? Let us know in the comments, or on Twitter at @WhatsTrending.